The compression stocking is the focus of venere therapy. So that you can experience your therapy as comfortably as possible, skin and stocking care is an important component in addition to the compression stocking. Moisturizing skin care with horse chestnut. Horse chestnut strengthens the vessel wall and urea (10%) makes your skin smooth and supple. The creme foam is suitable for dry skin and is very well tolerated. 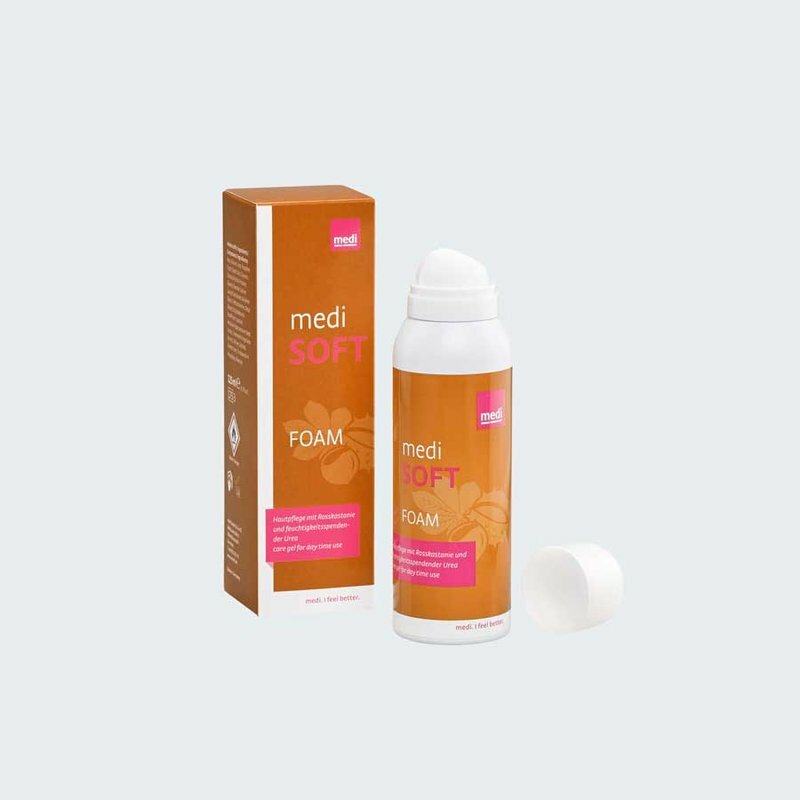 Compression stockings can be applied immediately after application of medisoft since the foam is absorbed quickly and completely. MediSoft provides additional support. Simply apply morning or evening and pamper your skin with extra moisture. The bottle contents are 125 ml.